Dr. Connie Pham is board certified in Internal Medicine. Her area of expertise includes preventive medicine, medical weight loss and the prevention of complications of diseases related to obesity. 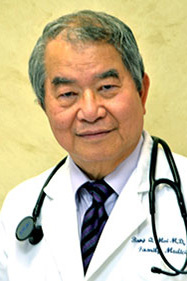 As a specialist in the treatment of adult medicine, Dr Pham has expertise in the treatment of allergies, asthma, arthritis, headache and complicated medical conditions such as diabetes, hypertension, chronic kidney disease and cardiovascular diseases. Dr. Pham has special interest in the area of Women’s Health. She is a devoted physician that loves to practice medicine. Dr. Pham has been in private practice in Austin for over 20 years, with experience in both private practice and as part of a large multispecialty group practice of over 100 physicians. She is a graduate of the University of Texas Medical Branch at Galveston and completed her residency at Brackenbridge Hospital in Austin, Texas. Dr Pham relocated to Houston in May 2012 to be closer to her family. CI Medical Center is fortunate to have Dr Pham join us as part of our team. Before enrolling in medical school, Dr. Pham earned a bachelor's in Chemical Engineering with high Honors at the University of Texas in Austin and worked at the Westhollow Research Center for Shell Oil Company. She is a member of Texas Medical Association, American Medical Association, and American College of Physician. Dr Pham is fluent in English and Vietnamese, and CI Medical Center's staff are fluent in English, Vietnamese, Spanish and Tagalog. FOR THE FIRST TIME HONESTLY I CAN SAY GOING TO SEE A DOCTOR WAS PLEASANT.DR.CONNIE PHAM I WOULD LIKE TO THANK YOU FOR YOUR CONCERN FOR ME AS A PATIENT.AND BEING VERY PROFESSONAL. TREATED WELL AND PAYED ATTENTION, SENITIVE,ALSO ANSWERED QUESTIONS FOR ME. AND HER STAFF IS ABSOLUTELY THE BEST. I WILL RECOMMEND HER ANY DAY TO ANYONE. The doctor and staff were very friendly. The doctor took the time to answer all questions and explain her recommendations and treatment plan. Dr. Connie Pham is the most efficient and reliable doctor ive got within my area. Thanks also to her staff for most efficient work and assistances.